Make sure you are logged in as a customer and your billing information is current. 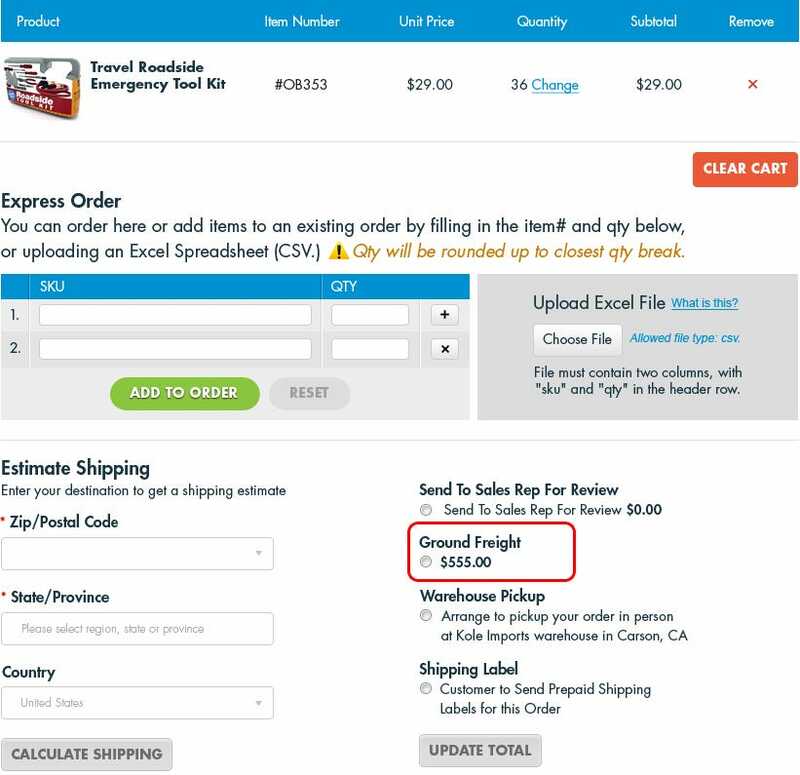 On the Order Summary page select Ground Freight as the shipping method (see Figure 1) then click “Proceed to Checkout” to go to checkout page (Figure 2). NOTE: we can accommodate shipping your Ground Freight shipment as freight collect and use your freight carrier’s Bill of lading. 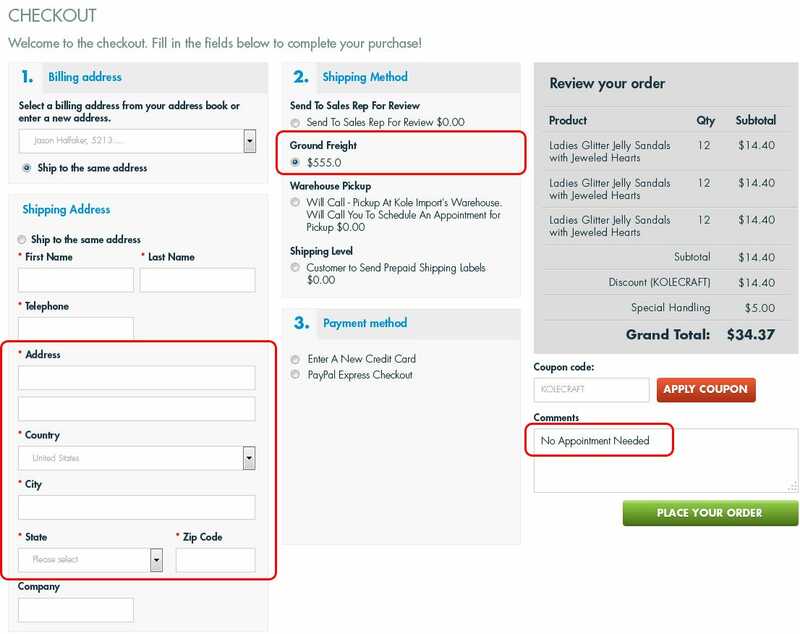 If this is option an option for you, please select “Send To Sales Rep for Review” and your rep will contact you to proceed. Enter the ship to address including street, city, state & zip code. The shipping costs will now appear in your order total. If all looks ok select “Place Your Order” to complete the order. Any questions on this ship method or anything else call our customer service at 310-834-0004.